Encore un moment! | One quality, the finest. 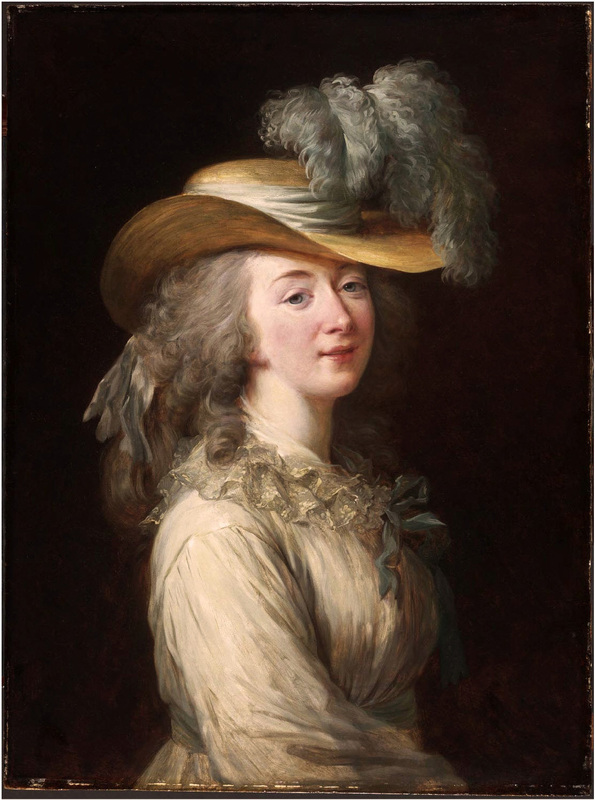 The last official mistress of Louis XV, Jeanne Bécu, better known as the comtesse du Barry was born on August 19, 1743. She was the illegitimate daughter of a seamstress and possibly a friar. Mother and child moved to Paris where the mother worked as a cook for the mistress of a wealthy man. The mistress took a liking to Jeanne and provided her with a convent education. When Jeanne had completed her studies, the relationship between the mistress and the girl and her mother soured for an unspecified reason, and the two were thrown out. Perceived competition? 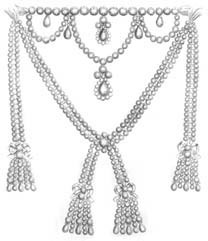 Jeanne began flogging a box full of trinkets while wandering the streets of Paris. Because of her great beauty, Jeanne was able to get a series of better jobs, including a hairdresser’s assistant and then as the companion to an elderly lady, but that didn’t work when the lady’s two married sons began to be interested in her. Then she got a job as a milliner’s assistant. She then caught the eye of a pimp, Jean-Baptiste du Barry, who set her up as a high-class courtesan as well as taking her as his own mistress. 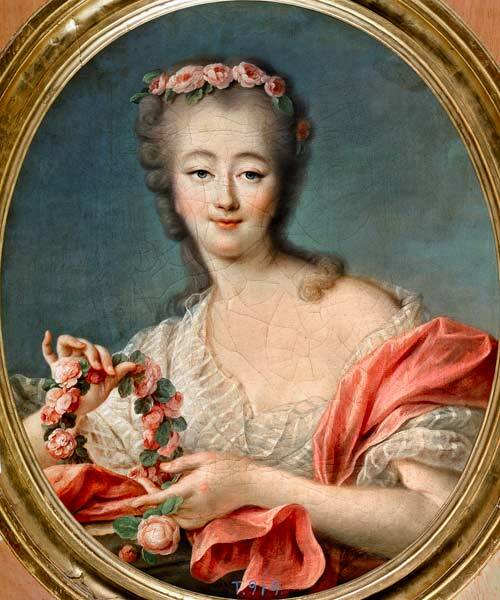 Jeanne, now known as Mademoiselle Lange, shared her bed with many important members of the court. On a visit to Versailles to see a client, Jeanne caught the king’s eye. He wanted to make her his mistress, but this wasn’t possible unless she had a title (!) so it was arranged for her to marry her pimp’s brother, comte Guillaume du Barry. Her pimp even supplied a fake birth certificate that shaved three years off of her age and made her part of the nobility. Even though she was now the King’s mistress, she could not be officially recognized as such until she was presented at court. Cardinal Richelieu himself ordered her dress which was so sumptuous that it made the eyes of even those used to the glitz of the court at Versailles pop out of their heads. This gown was just the beginning of a dress parade of ever greater splendor that drained the already compromised treasury. She was now the king’s chief mistress. 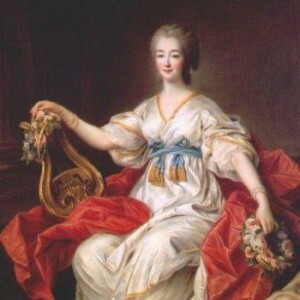 The comtesse du Barry wasn’t generally interested in politics and influencing the king about matters of state. She focused almost exclusively on acquiring gowns and jewels. She did not get along at all with Marie Antoinette. They supported opposite sides in a diplomatic fracas involving an alliance with Austria. Du Barry further sullied relationships with the future Queen by laughing at a joke that slandered the Austrian Empress, Marie Antoinette’s mother. 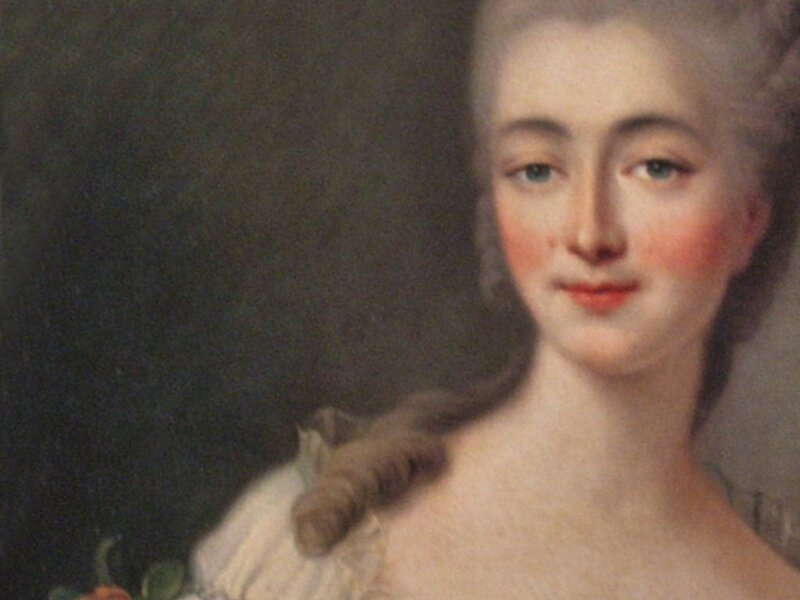 For a while, Marie Antoinette refused to speak to the other woman at all. The king finally intervened and Marie Antoinette’s “overture” in the general vicinity of du Barry was “There are many people at Versailles today.” That’s not much of a conversation starter, but the king had been obeyed. A fabulous necklace, commissioned by the king as a gift for du Barry, was one of the events that led to the French Revolution. When the king died, the necklace was unfinished and unpaid for. 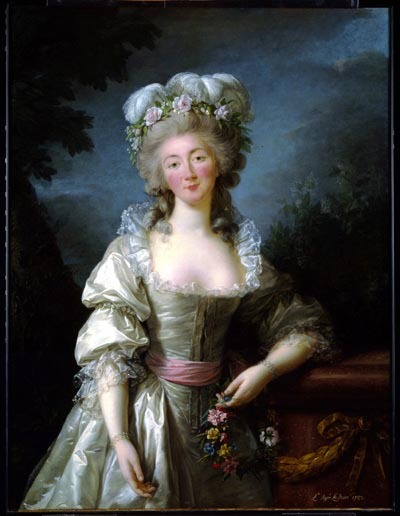 In a subsequent scandal, the rumor circulated that Marie Antoinette had bribed a Cardinal to get the necklace for her. The fact that this was untrue didn’t stop it from fueling the fires of hate against “The Austrian.” The lives of these two women were intricably linked, by fate and hate. Du Barry was exiled far from the court. She promptly took two new lovers. One got tired of her and sent a painting with “Leave me alone” painted across the bottom. I think that was the equivalent of a Twitter break-up in the 18th century. Her other lover was torn to bits by a mob at the outbreak of the revolution – they delivered his head to her. As the revolution progressed, du Barry was suspected of funneling money to the French aristocrats who had fled the country. When she was condemned to death, she tried to bargain for her life by offering the jewels she had gotten out of the country. It didn’t work. She tried bargaining right to the end. Her last words were “Encore un moment!” (ahnkor uhn momehn) or “One more moment!” She died in what is now la Place de la Concorde on December 8, 1783. Her jewels were sold at Christie’s in London two years later. 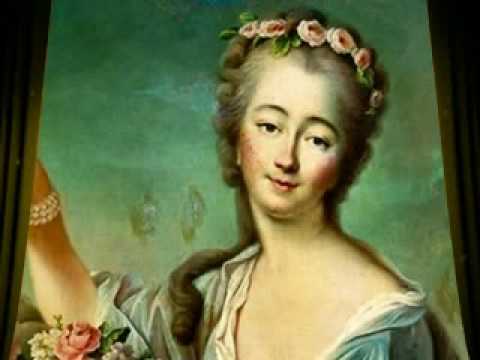 This entry was posted in History and tagged Encore un moment, French Revolution, Jeanne Bécu, Louis XV of France, Madame du Barry, Marie Antoinette, Palace of Versailles. Bookmark the permalink. 3 Responses to Encore un moment! A lovely piece – I have just returned from Versailles…what a treat for jaded eyes! It has to be seen to be believed, doesn’t it?